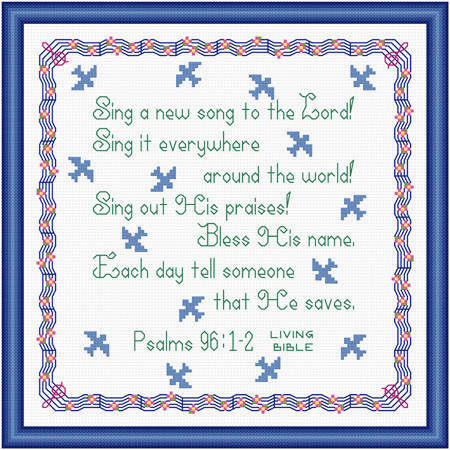 Sing A New Song cross stitch pattern... This scripture based design recommends singing to give praise to the Lord. The flying blue birds bring to mind the chirping song they sing. Border is a musical staff with flowers instead of notes.